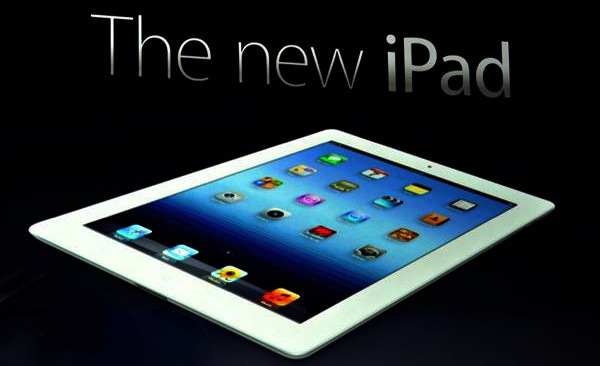 This apple ipad tips help you to use new apple ipad simple. Do you want to show all running apps. Double clicking the home button and you see all running apps on your ipad in a bar along the bottom of the screen. Taping in this bar to switch the running apps. Swiping the screen downwards to removing the bar. The new apple ipad have support VPN connection. Configure the VPN connection by go to settings>general>network and select VPN and move the slider to on, then you add a VPN connection with your server and account details. In your apple ipad you find that you ipad battery charge percentage distracting. Yes the good news is in new ipad have turn it off very easily. Go to settings>general>usage and you can turn it off. In your ipad have don’t any dedicated mute button anywhere on the device. However, with iOS 4.3 apple has given you the choice of using the lock button to mute the sound or lock your ipad’s orientation. Either way, a good tip for quickly muting by press and hold the volume-button. Any ways miss your ipad keyboard. Don’t worry , any apple keyboard work in this new apple ipad. Bluetooth keyboard’s also work in new ipad. Do you want to take screen shot of your apple ipad. Take a screen shot by pressing home and then the sleep/wake button. The screen flash and you will hear a click sound after taking a screen shot. Your screen shot automatically save in your ipad’s photo gallery. This tips are useful for your new apple ipad.